We’re always open to working with our customers to create a custom design that they might have in mind, and look forward to hearing design ideas from others. I've been "crafting" since I was a baby, creating artistic things out of whatever material I could find, and making beautiful drawings whenever I could. What got me into jewelry making and design was accidentally discovering a gemstone and bead store, and decided I had to make something out of the stones and wire. Nature, the Art Deco period, and currently wrought iron gates! 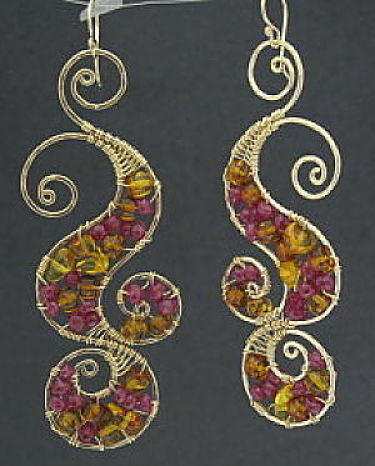 A very curilinear swirly design (earrings) with rubies and amber, a great color combo. 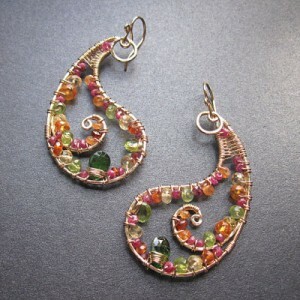 I love curvilinear designs and organic shapes, combined with bright colors. 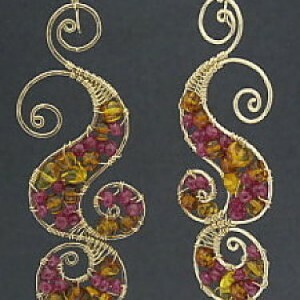 You can see the handiwork in all of our jewelry and can tell it was entirely made by the artist (and team). 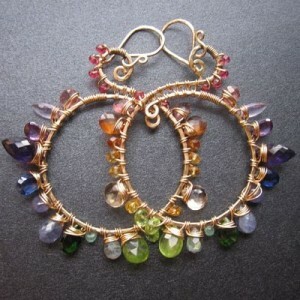 I sell retail both on my website and in my retail store on City Island, Bronx, NY. We also sell wholesale (most of our business) to stores all across the country and internationally as well (approx. 320 wholesale accounts at last count). It's always so much more beautiful in every way! and has personality, unlike something mass-produced, which is devoid of character.